Life happens! MCS Bank understands that unexpected overdrafts occur from time to time — Overdraft Coverage can help. 1Call us at 844 245 9495, email us at odp@mcs-bank.com, or come by a branch to sign up or apply for these services. 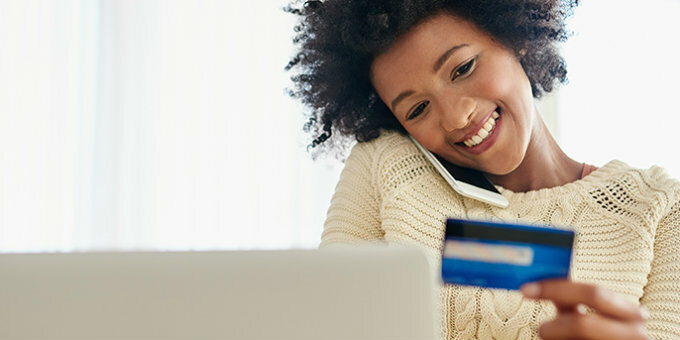 Overdraft Protection services apply to all transactions and may help prevent overdrafts by automatically transferring funds to your checking account from another account, or line of credit you may have at MCS Bank for fee or finance charge. Please note that overdraft lines of credit are subject to credit approval. Overdraft Privilege allows you to overdraw your account up to the disclosed limit for a fee to pay a transaction. Even if you have overdraft protection, Overdraft Privilege is still available as secondary coverage if the other protection source is exhausted. Complete an Extended Coverage Consent Form and mail it to us at 19 North Brown Street Lewistown, PA 17044 or drop it off at any MCS Bank office. *If you choose Extended Coverage on your consumer account, ATM withdrawals and everyday debit card transactions will be included with the transactions listed under Standard Coverage. If you already have Extended Overdraft Privilege coverage, it is not necessary to request it again. Business accounts automatically have Extended Coverage. You can discontinue the Overdraft Privilege in its entirety by contacting us at 844.245.9495 or sending us an e-mail at odp@mcs-bank.com. A link to another account or a line of credit is a less expensive option than an overdraft. A single larger overdraft will result in just one fee, as opposed to multiple smaller overdrafts. Good account management is the best way to avoid overdrafts. Use our mobile banking and Internet banking, to keep track of your balance. The $35 Overdraft Fee is the same fee amount that is charged if a check is returned as unpaid. If multiple items overdraw your account on the same day, each item will be assessed an appropriate Overdraft Fee or a Return Item Fee of $35. All fees and charges will be included as part of the Overdraft Privilege limit amount. Your account may become overdrawn more than the Overdraft Privilege limit amount because of a fee. We will not charge an Overdraft Fee if a consumer account is overdrawn by $10 or less. This exception does not apply to business accounts. All credit transactions are processed first. Debits, or withdrawals, from your account will be processed as follows: electronic items such as ATM and Preauthorized transactions then checks. The items are processed from lowest to highest within each category; however, exceptions will occur. Holds on funds (described below) and the order in which transactions are posted may impact the total amount of Overdraft Fees or Return Item Fees assessed. Although under payment system rules, MCS Bank may be obligated to pay some unauthorized debit card transactions. MCS Bank will not authorize debit card or ATM transactions unless there are available funds (including Overdraft Coverage Options) to cover the transactions and any fee(s). Giving us your consent to pay every day debit card and ATM overdrafts may result in you incurring Overdraft Fees for transactions that we would otherwise be required to pay without assessing an Overdraft Fee. However, this would allow us to authorize transactions up to the amount of your Overdraft Privilege limit and may also help you avoid overdrafts more than your available funds that could result in restriction of your debit card. MCS Bank authorizes and pays transactions using the available balance in your account. The available balance is comprised of the ledger balance (collected funds) less any debit card holds, and does not include any deposited funds on hold. MCS Bank may place a hold on deposited funds in accordance with our Deposit Account Agreement and Disclosure. If the funds in the available balance are not sufficient to cover a transaction, any available overdraft protection, and/or the amount of the Overdraft Privilege limit, may be used to authorize and pay a transaction. MCS Bank will place a hold on your account for any authorized debit card transaction until the transaction settles (usually within two business days) or as permitted by payment system rules. In some cases, the hold may exceed the amount of the transaction. When the hold ends, the funds will be added to the available balance in your account. If your account is overdrawn after the held funds are added to the available balance and the transaction is posted to the available balance, an Overdraft Fee may be assessed. Except as described in this letter, MCS Bank will not pay items if your account does not contain available funds (including the Overdraft Privilege limit) to cover the item(s) and the amount of any fee(s). We may restrict your debit card use if you incur overdrafts more than the available funds in your account, including any Overdraft Privilege limit. Depositor and each Authorized Signatory will continue to be liable, jointly, and severally, for all overdraft and fee amounts, as described in the Deposit Account Agreement and Disclosure. The total (negative) balance, including all fees and charges, is due and payable upon demand. If you have any questions about Overdraft Protection or Overdraft Privilege, please call us at 844 245 9495 or email us at odp@mcs-bank.com.